For the first 12 years of your car’s life (5 years for commercial vehicles), your vehicle is protected for corrosion (rust) by our anti-perforation warranty no matter how many miles you cover. The anti-perforation warranty covers the repair or replacement of components acknowledged to be faulty by Citroën. Terms and Conditions apply. We will rectify any manufacturing defects in the paintwork within three years of your Citroën first being registered. • All work carried out by a Citroën Authorised Repairer is warranted for a period of 6 months or 6,000 miles, whichever is the sooner, from date of being carried out. • The date of the work being carried out is that of the date when the Citroën Authorised Repairer completed the work. • The relevant proof of purchase must be available for inspection by the Citroën Authorised Repairer if requested. • Work carried out under this warranty does not carry a further 6 months or 6000 miles warranty, but only on the unexpired portion of the warranty on the original purchase. • A Citroën Authorised Repairer’s obligations are limited under this warranty to repair or replacement (at its discretion). • Parts removed for replacement under this warranty automatically become the property of Citroën UK. In the case of change of ownership of a vehicle which has had work carried out, the benefit of the warranty may be passed on to the new owner of the vehicle providing that the proof of purchase (such as original invoice and receipt) shall be proven by the new owner to the Citroën Authorised Repairer’s reasonable satisfaction. • Where the work carried out is affected by improper operation of the vehicle, vehicle modification or alteration, extreme natural elements (including fire or flood), accident, neglect, abuse or damage, in all cases whether wilful or otherwise. • Where the vehicle has been used for competition, racing or records attempts. • Wear and tear commensurate with the use and mileage of the vehicle. • Any costs related to vehicle recovery, loss of use of any vehicle, alternate vehicle procurement, or fault diagnosis. • Work carried out under the terms of the new vehicle contractual warranty. • Any consequential or indirect loss or damage, or loss of profits. Every new Citroën enjoys the benefit of our comprehensive three year Manufacturer’s Warranty. All Citroën Select Approved Used vehicles benefit from a 12 month dealer supplied warranty. Citroën Extended Warranty allows you to benefit from continued protection once your current warranty has expired. Citroën Extended Warranty provides 12 months cover (as long as your vehicle mileage does not exceed 100,000 miles). There are no limitations to the number or value of claims you make, providing they don’t exceed the purchase price of your vehicle. In addition, there are no excess charges if you need to make a claim. All repairs can be carried out at a Citroën Authorised Repairer, by qualified Citroën technicians, ensuring the very best quality of repair for your vehicle, helping to preserve the performance of your vehicle. Cover against the cost of mechanical or electrical repairs or replacement required as a result of manufacturing or material defect to your Citroën. Vehicle damage caused by corrosion, neglect, accident, fire, improper use or having been used for competition purposes. Vehicle modifications or alterations from the original specification. Normal wear and tear. If your Citroën is less than 3 years old, and has covered less than 60,000 miles, then you can find out more about Citroën Extended Warranty here, get a quote and purchase online today. If your vehicle is over 3 years old, and currently has Citroën Extended Warranty or a Citroën Select Approved used warranty in place, you will be contacted prior to the expiry of warranty with an invite to purchase Citroën Extended Warranty. You can purchase Citroën Extended Warranty in a single payment by debit/credit card or monthly renewing payments by Direct Debit. A ‘Pay As You Go’ option is also available (dependent upon purchase date), giving you greater flexibility. We understand that when it comes to your vehicles MOT Test, it’s always a worry that it may fail, bringing with it the possibility of unwelcome repair bills. That’s why we have developed Citroën MOT Insurance. This cover provides you with the reassurance that if your vehicle does fail its MOT Test, our Citroën technicians will be there to help you. All our Citroën technicians are fully trained and we use only the highest quality Genuine or Approved Citroën parts, so you know your vehicle’s in safe hands. • General, (Windscreen wiper arms and blades, windscreen wiper motors, washer motors and horn). • The price of the MOT Test or re-test fee. • Diagnostic time of any type. • Service or maintenance operations. • Items which do not form part of the manufacturer’s original specification for the vehicle. • Faults resulting from the use of fuel which is either contaminated or inappropriate for the vehicle. • Damage which has resulted from a failure to arrange for an obvious fault to be rectified. • Any damage caused by frost, including damage where lack or failure of anti-freeze has been a contributory factor. • Damage or losses to components that are not directly covered within the terms of this warranty in any circumstances. • There must be a minimum of three months between the date of the application and the date of the MOT Test. • Items cited as advisory which do not result in the vehicle failing the MOT Test. The table below provides details of the cost of Citroën MOT Test Insurance. The MOT Insurance cover can be purchased from your local Citroën dealer for a single payment. Citroën MOT Insurance is available on cars that have covered less than 8000 miles from date of first registration and are under 8 years old. Click 'Policy Summary' to find out more. For more information or to purchase MOT Test Insurance for your Citroën, contact your local dealer. The contractual warranty period starts from the date of invoicing to the customer. All Citroën Original Equipment Parts and Citroën Approved Parts come with a 1 year parts and labour warranty. The 12 months parts and labour warranty is only applicable if it is fitted in a Citroën Authorised Repairer. Where the customer believes they have a potential claim they must return to a member of the Citroën Authorised Repairer Network and present the associated invoice. The Authorised Repairer will then carry out a technical validation to confirm the claim is valid.If the part is then subsequently replaced, the warranty on this part will be for the remaining contractual period from the original invoice date. • A repair done outside of the contractual period of the parts warranty. • Wearing parts, the replacement of which is not the consequence of a failure and/or its environment but the result of normal wear. • Adjustments, tuning or operations which form part of the normal servicing and maintenance of the vehicle. • Provisional or partial repairs carried out to the customer’s instructions. • Abnormal use of the vehicle causing failure of the part or abnormal use of the part (e.g. use of the vehicle in competition, incorrect use of brake and clutch functions etc.). • Failure of the part if this is because servicing operations recommended by the manufacturer and carried out on the initiative of the customer, needed to ensure reliability of the part, have not been carried out. • Noise and vibration related to the normal operation of the vehicle. • Deterioration such as discolouration, alteration or distortion of parts due to normal ageing. • Repairs following the use of poor quality fuels or non- approved additives. • Any fluids that do not conform to the manufacturer’s specification (brake fluid, coolant, screen wash and car care products etc.). • Failure to respond to an invitation from the manufacturer or its representatives for a vehicle update (campaigns). 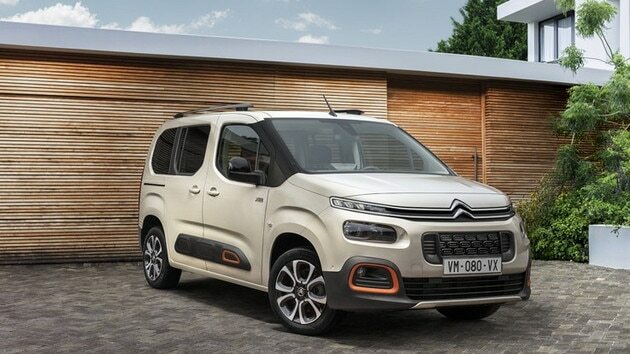 • Parts have been modified outside the Citroën Dealer Network. 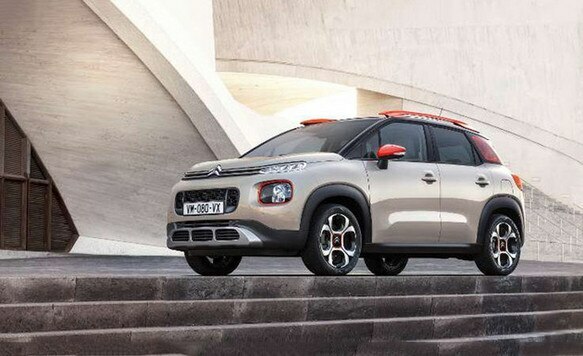 Every Citroën Select vehicle enjoys the reassurance of a comprehensive 12 month manufacturer warranty, 12 months Roadside Assistance cover and MOT Test Cover. Our warranty comprises of one high level of cover, with no excess charges or claim limits for all qualifying vehicles, and is supplied to you by your Citroën dealer. For more information 'Citroën Select' below. Plus, you could also benefit from an additional 12 months warranty cover, with our Extended Warranty. In response to a free telephone call to 08000 72 72 72, Citroën Assistance brings rapid roadside assistance to you in the event of a breakdown. This service operates 24 hours a day in all parts of the UK. Services include nationwide recovery for both vehicle and passengers, a home call service, replacement vehicle and hotel accommodation. Cover includes manufacturing defects only. Onward Travel and European Cover are underwritten by AICL, which is authorised and regulated by the Financial Services Authority. The Automobile Association Ltd covers the provision of Roadside, Assistance from Home and Recovery and is an insurer exempt from authorisation under the Financial Services and Markets Act 2000. To further compliment the Citroën Select Used Vehicle 12 month warranty, you will benefit from MOT test cover, if your vehicle is over two years of age when purchased. In the event that your vehicle fails its next MOT, this covers the cost of repair, replacement and/or adjustment to the vehicle of the parts covered up to a maximum claim of £750 [inc. VAT].